Amy made this! Isn't it great? Don't answer. I already know it is. So keeping in with the theme that I AM CRAZY, I've decided to co-host a Middle Grade Reading Challenge with one of my favorite ladies ever, Amy at Tripping Over Books! This idea stemmed from any lack of 2014 MG challenge that I could find, combined with my drive to host a challenge for the first time ever, folded into my adoration for all things Middle Grade. Thankfully Amy shares my love for Adventures and Awkwardness and this challenge was born! What whaaaaat! In case you don't know why I adore Middle Grade, it's because the characters are are usually silly, awesome, and trying to get through adolescence without being supremely humiliated. Most importantly, they are discovering who they are and why they matter. Those are questions and journeys that resonate with all readers. Also, MG can sometimes feature some slapstick or potty humor which I adore. Okay, so here's what makes this challenge extra special. We have monthly themes! So you don't have to read x number of books by the end of the year if you don't want to. You can read one a month or just one this year. We broke it down by genre so feel free to jump in wherever you want, whenever you want! - Middle Grade is defined as any book (audiobook, series or stand-alone) that features a main character between the ages of 8-12. However, if you start a series and the main character gets older (as in Harry Potter), we'll still totally count those because we're kind like that. - There are no publication date restrictions. Go way back if you want, or pick up a 2014 debut. Whatever! Live your life! - You don't have to have a blog to participate, but you do have to review at least one book a month in order to enter to win any fabulous prizes somewhere. If you just want to pick and choose the different months to participate, that's fine by us! 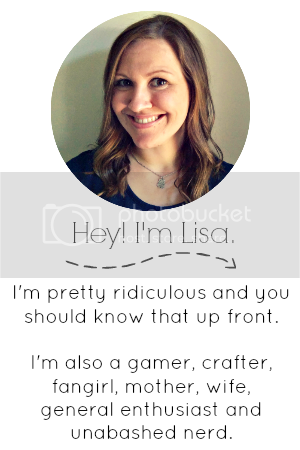 - Amy and I will alternate who is hosting for the month. In order to enter for the monthly prize pack, you'll need to link up at the host's blog. Deadline for each month is the last day of the month. - Please create a sign up post (or link us as part of your blogging goals/challenge post) linking back to either Amy or myself as hosts of this challenge. Both would be best, but one or the other would work too. Even if you just plan on doing a month or two, you'll need to have a sign up post to win a prize pack. Wee! - On the first Monday of each month, the host will have a link up for the reviews that fit in that genre as well as a few suggestions to get you pointed in the right direction if you need it. 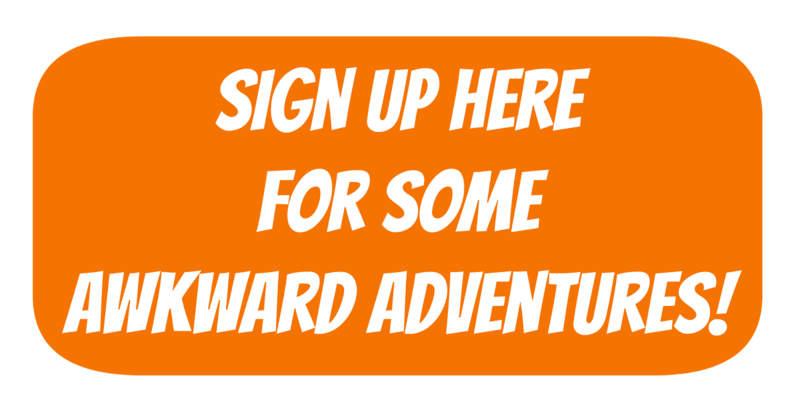 - If you want to tweet your amazing adventures, please use the hashtag #AwkardAdventures because we think that will be neat. Amy and I hope you join us for our amazing Adventures Through Awkwardness Middle Grade Reading Challenge! I'll have the January post up on Friday (since we missed this Monday). HOLLA! Until next time, keep it awkward, y'all. I like this idea! I was just thinking a few days ago that I need to read more middle grade, especially after reading The Lightning Thief and Counting by 7's. I don't know much MG, so I'll need help with recs, but I think I'm on board! Yay! We'd love to have you! Feel free to share your link up post whenever it happens! I need to read more MG novels, especially since that will be my target audience come teaching time. Though I don't think I'll sign up for this challenge, I will be using it as a reference of which books to consider and check out. Awesome idea ladies! Thanks! Yay! Of course you can use Amy and I as a reference anytime! As well as the challenge, of course. As I've already declared on Twitter, I am SO signing up for this challenge! I'm surprised that it hasn't existed till now and I totally have to credit you ladies for such an awesome idea. Working on the post right now, but you can bet it's happening! Will you guys have a master list of books to consider checking out? You won't HAVE to do a post if you don't want to - the button on your sidebar will suffice! I TOTALLY FORGOT TO SIGN UP FOR THIS. *writes a post* SO EXCITED.